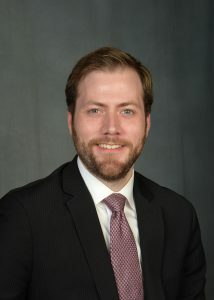 Justin received a Bachelor of Arts in Political Science in 2011 from University of Central Missouri, and his Juris Doctor from The John Marshall Law School in 2015. While in law school, Justin was employed as a legal clerk with the Cook County Public Defenders Felony Trial Division and served as a Judicial Extern for a Cook County Circuit Court Judge in the Law Division at the Daley Center. He also participated in The John Marshall Law School International Human Rights Clinic working on both international and domestic human rights projects and cases, with a focus on ligation surrounding the cholera outbreak in Haiti.